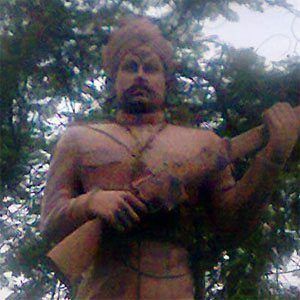 Indian war hero who was an important soldier during the time of the Indian rebellion of 1857. He was a private in the 34th Bengal Native Infantry regiment of the British East India Company. He joined the East India Company's army when he was 18 years old in 1849. The Government of India issued a postage stamp in his honor in October 1984. He was born into a Bhumihar Brahmin family in the village of Nagwa. The 2005 film The Rising was based on the events he went through and starred actor Aamir Khan.